Let's begin our Double Dose today with the Scottish metaler's Low Sonic Drift. Low Sonic Drift takes a "psychedelics minded" approach to heavy metal, with influences drawn from the desert scene (Karma To Burn) to Scandinavia (Opeth), and all over this ellipsoid we call Earth. The tunes are driven by extravagant instrumental passages and colossal thrash infused groove riffage. I quote, “Combine that with relentless energy and a keen sense of adventure” and we have quite the recipe for an incredible live show. Low Sonic Drift have shared the stage with some of Heavy Planet’s favorite acts, Orange Goblin, Weedeater, and Brant Bjork, as well as Humanfly, Black Sun, and Stinking Lizaveta. 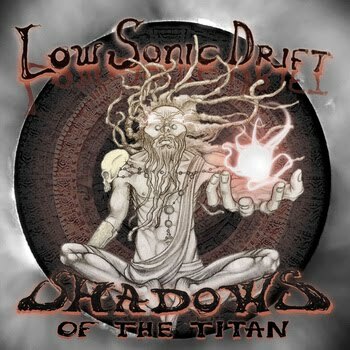 Check Low Sonic Drifts debut album Shadows of the Titan now! **Low Sonic Drift have been kind enough to offer the Heavy Planet reader's a late Christmas gift, a free download of the song Shadows. Be sure to check it out and send the guys at Low Sonic Drift a big Thank You! Today's second helping are Brooklyn trio Madam Trashy and their debut album Book of Dead. This one is a genre smasher, melding "creativity and spontaneity". 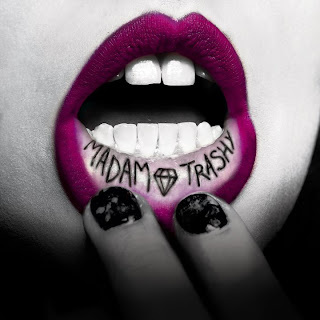 Madam Trashy are built on influences such as The Melvins and King Crimson. The music is heavily guitar driven with a progressive-grunge aura and beautifully sung harmonies. Their "Kickstarter" campaign was successful, drawing fans from around the USA, thanks to their energetic live performances and "startling visuals". Be sure to watch for a show near you! **The Christmas season has been very good to us here at Heavy Planet. Madam Trashy has also been kind enough to offer Heavy Planet reader's a gift... the entire Book of Dead album, for free!